After releasing a report about the riskiest meat in the supermarket last month, the Center for Science in the Public Interest is scolding the USDA over inaction on antibiotic resistant Salmonella strains in meat. Two years ago, CSPI submitted a petition asking the USDA to do something about antibiotic-resistant pathogens in the food supply. Consumers Union recently completed a study that found antibiotic-resistant bacteria on ground turkey in U.S. supermarkets. In addition to the calls for action on their petition, CSPI released a report documenting 55 foodborne illness outbreaks over the years caused by pathogens resistant to penicillin, tetracycline, and other important drugs. For instance, in 2011, there were three major outbreaks of Salmonella Hadar and Salmonella Heidelberg in ground turkey, and Salmonella Typhimurium in ground beef. Those outbreaks sickened 168 people and hospitalized 48. 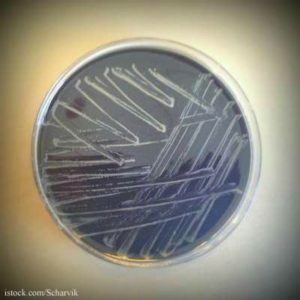 CSPI wants the USDA to treat those strains of bacteria as adulterants, in the same way that the government classifies E. coli O157:H7 and six other STEC bacteria. That classification makes it illegal to sell any food contaminated with those bacteria. At this time, products contaminated with Salmonella (except for ready-to-eat foods) are only recalled after people get sick. The main issue in this problem, according to many consumer interest groups, is antibiotics given to animals for non-therapeutic uses, such as growth promotion and to compensate for overcrowded conditions. We told you about the Johns Hopkins Center for a Livable Future webinar last year, which detailed how the USDA and FDA issue guidance documents about antibiotic use in farm animals that are mere suggestions, rather than issuing regulations, which have the force of law behind them.